The basketball star and soccer star shared photos of themselves kissing their kids on the lips -- and people freaked out. 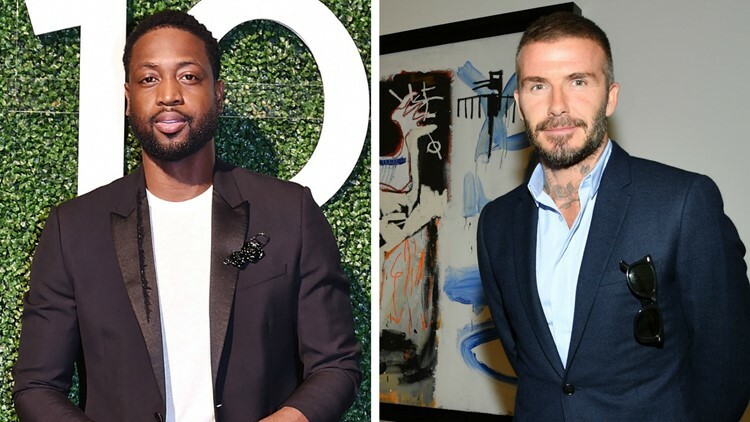 Two celebrity dads, Dwyane Wade and David Beckham, were shamed for kissing their daughters on the lips after they shared Instagram posts of the (offending?) act on the same day. First, mom Gabrielle Union-Wade posted an adorable shot of basketball star Wade, 36, planting a kiss on their newborn daughter, Kaavia James Union Wade. In the Instagram photo Kaavia's eyes are wide-open as dad gazed upon her, a burp cloth on his shoulder. "I know it's your baby but don't kiss the baby on the mouth, you've had kids before you should know better." "Adults should not kiss babies on their mouths their resistance to bacteria is not very strong!" "Take your lips off of that child kids are so sensitive nowadays. The cheek and forehead is good." But an overwhelming number of fans just made comments about how beautiful the baby was, how happy they were Gabrielle Union finally has her baby. And, interestingly, many thought Kaavia, born via surrogate, looked just like Wade. "OMG. Twins." And "Daddy's twin." Only a few hours later, David Beckham posted a picture of himself kissing his daughter, Harper, on the lips. Fans both criticized and defended him. It's not the first time the former soccer player, who's married to designer and Posh Spice, Victoria Beckham, has posted such a photo. Even Victoria has shared photos kissing her kids on the lips. And each time, they've gotten slack and support — because apparently parenting is everyone's business. In his latest post, David, 43, captured a lip kiss with his 7-year-old daughter before ice skating. He captioned the Instagram photo: "Christmas is coming. Let’s go skate♥️"
"Parents and kids don't make out!!" "She’s your daughter...why are you kissing on her lips." The comments were much the same when Victoria posted a picture of her kissing Harper two years ago. "Kisses from mummy," she wrote on Harper's Instagram birthday photo. The Beckhams seem to being saying kiss off to their detractors and some of their fans had no problems saying that either. "If you’re offended by this picture then keep scrolling. I’ll kiss my 9 year old on the lips until she tells me not to. ...I see this as a beautiful picture and Harper is clearly happy 💓"
"OMG some of y’all I swear! He can kiss his daughter on the lips! I still kiss my dad on the lips! So what?!" "If anyone sees anything other than a little girl who loves her dad in this picture it says more about the state of their mind than anything else."